This townscape was done in a woman’s kitchen behind her dining room table. 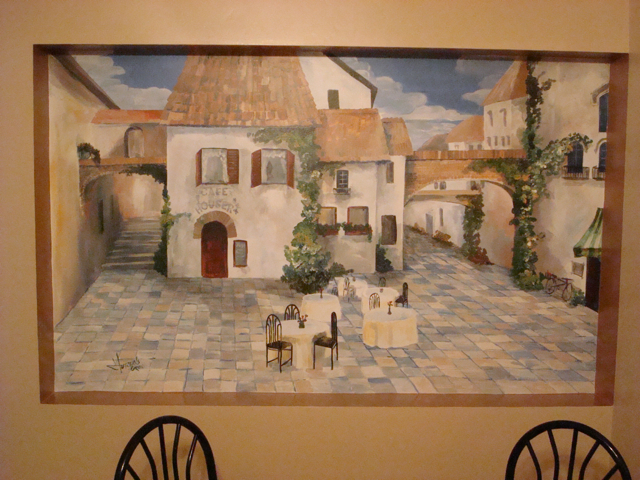 Several elements from the kitchen were incorporated into the mural. The table and chairs of course, their name on the cafe, her bike, flowers, the color palate and other things to make this the ultimate custom mural!